Some battery-operated bee smokers have been imported from China by three separate beekeeping equipment retail businesses based in Queensland. 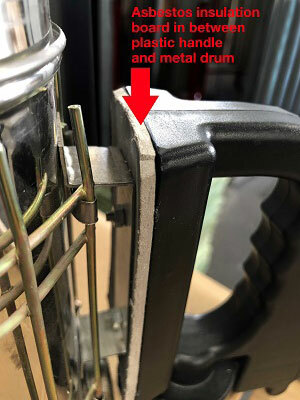 Tests have confirmed asbestos was present in the insulating board between the battery compartment in the handle of the device and the metal smoker. Workplace health and safety laws prohibit a range of activities including the importation, supply, sale and use of asbestos. They also set out duties to identify all asbestos present in a workplace. SafeWork NSW are currently investigating whether battery-operated bee smokers have been imported into NSW. The battery-operated bee smokers are designed to emit smoke used for beekeeping (apiculture). Two models with different coloured handles have been found to have asbestos in the insulating board. 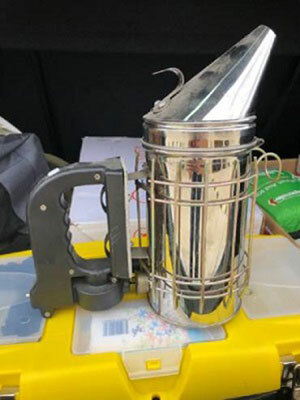 Anyone with one of these bee smokers should immediately stop using it, wrap it in sturdy plastic or put it in a sturdy plastic bag, seal it with tape and store it away until you can confirm with your supplier that there is no asbestos-containing material in them (even though they may be labelled as 'asbestos-free'). If you can't confirm with your supplier whether the battery-operated bee smoker contains asbestos, you should have it tested at a NATA-accredited laboratory. Battery operated bee smokers confirmed to contain asbestos must be disposed of as asbestos waste. If you are in any doubt about whether the bee smokers contain asbestos, dispose of them as if they do contain asbestos. Your local council will be able to provide you with information on the location of hazardous waste facilities. If you are buying or importing battery operated bee smokers, ask your supplier for documentation confirming there is no asbestos in the products (even though they may be labelled as 'asbestos-free'). Local standards in some supplier countries may classify goods ‘asbestos-free’ where they meet a certain low level of asbestos content. In Australia, a product found with any level of asbestos is prohibited for import or use. To reduce the risk of importing or supplying products containing asbestos or for general asbestos information visit the Asbestos Safety and Eradication Agency website, or contact us on 13 10 50.